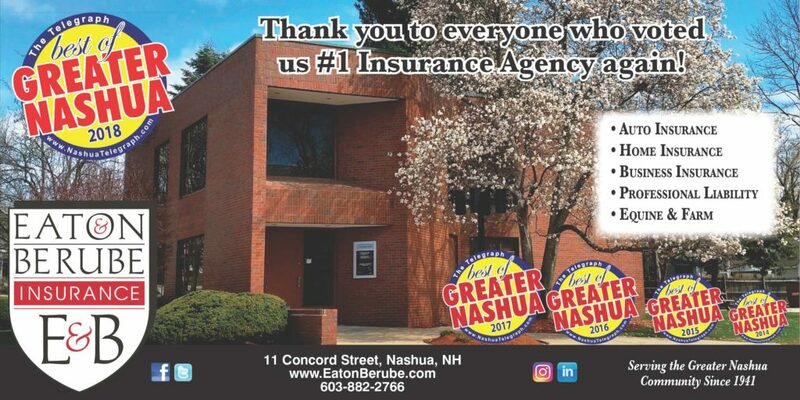 Thank you to everyone who voted for us as the Best Insurance Agency of Greater Nashua in the Nashua Telegraph’s survey again this year! We are proud to receive this honor and feel fortunate to have served the wonderful families and businesses in this community for more than 75 years. Congratulations to all of this year’s winners and nominees!